Is it too much to ask for a restaurant in the Odéon district that mere mortals can afford to eat in? 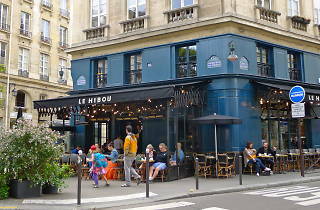 As long as the Saint-Germain crowds continue to flock to the likes of Le Hibou, the answer will remain 'yes'. 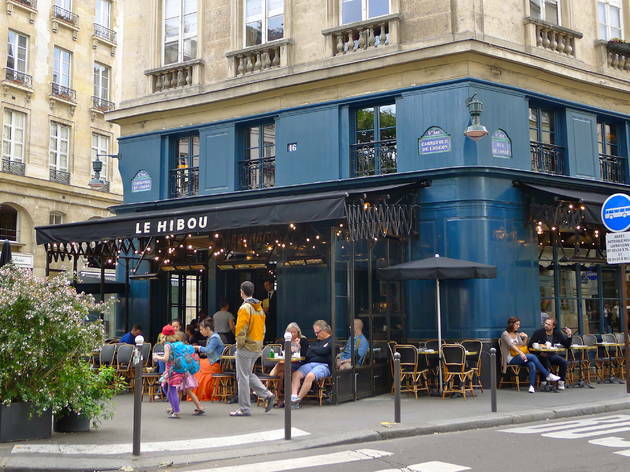 The latest venture by chef du jour Thierry Bourdoncle (the man behind La Palette, among others), Le Hibou nails that blend of chic vibe, pedestrian cuisine and inflated prices so typical of the area. The décor oil paintings and stuffed animals may bring to mind your granny's living room, but – to judge by its perma-crowded terrace – the restaurant knows how to reel in the upmarket set. Taxidermy aside, there isn't much here to catch the eye. The menu offers a decent if unexceptional selection of dishes – beef fillet, lamb chops, Caesar salads and the like – and isn't afraid to drop a few names (Hugo Desnoyer meat, Berthillon ice cream). Celebrity caterers notwithstanding, the average diner will baulk at the prices: €11.50 for a dish of strawberries, €20 for a chocolate mousse for two. It's all tasty and served in generous portions – but on this evidence, Bourdoncle needs to get over himself.